What a great way to get the kids out of the house during the long weekend or celebrate a good conference! There is a link attached that will show you more details. Don’t miss out! Parents use the directory to set-up play dates, plan birthday parties, and connect with each other. There is no cost to be included in the directory. Please use the link below to enter your family information and select what is visible in the directory. This information can be updated by you over the school year at any time. You can also elect to be on the PTO mailing list to receive occasional emails reminding you about PTO events. This year we will be using an online directory. We will provide families access at a cost of $7 per family. You will be able to purchase directory access from the store online once you verify your information. The Ross Elementary PTO provides this directory for the sole use of families of Ross Elementary students. Use of the directory is prohibited by anyone to contact all or part of the Ross Elementary school families in order to solicit business or espouse a cause. If you do not want to have your child’s information included, please remove your information online using the above link or contact us at RossPTOTeam@gmail.com. Once again, thank you for your support of the Ross PTO! If you have any questions about the directory, please contact us at RossPTOTeam@gmail.com. The school wide Fun Run will be held next Friday September 21 (rain date Friday September 28). Each student will have the opportunity to walk or run the track with their grade for 30 minutes. Pledges can be collected per lap or as a flat rate. A volunteer will tally the laps and send the information home. The Fun Run funds assemblies, field trip busses, Field Day and we are working to replace the playground with new equipment that is safe and fun! Please send your child to school that day with a water bottle labeled with their name and apply sunscreen if desired. 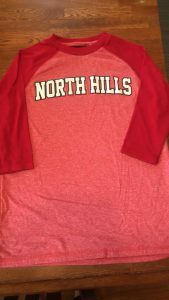 Our theme is North Hills so please dress your child in red or NH gear. Everyone had a great time last year and we are looking forward to another successful run this year! Let us know if you have any questions! We have had some requests to buy spirit wear and are going have a sale on Monday from after school until 6PM. 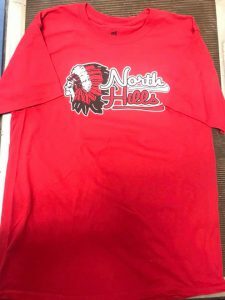 If you would like to purchase a North Hills shirt from our PTO, we have a $10 cotton t shirt or a $20 3/4 sleeve performance shirt available with or without the mascot. Pictures will be posted on RossPTO.com. If you cannot make that time, reply to this email and we can send home the order with your children once we receive payment. Thank you! Picture Day is coming! All students will have their picture taken on Friday October 5, 2018 and make-up day will be Thursday October 18, 2018. Students who wish to purchase pictures should fill out an order form and bring it back on Picture Day. Order forms will be distributed to teacher mailboxes one week prior to Picture Day so keep an eye out for them in your child’s folder. If you have any questions please contact Catherine Regan @ cregan412@gmail.com.